Throughout time people continuously ask themselves; “why are we here?” “Who are we?” “What is our purpose to walk the earth?” “Who is God?” “Where is this God?” even though in today’s day and age some will say they do not believe in God and they chose to live their life free of religion, they still worship someone or something. They will worship an athlete, a movie actor, a musician, a singer. Some worship video games, TV shows… Even though I have not seen the series, for a long time “Jersey shore” was popular; now it is the “Hunger Games”. This most obviously says something about us as a people. How long, you simple ones, will you love simplicity? and the scorners delight in their scorning, and fools hate knowledge? Seek you the LORD while he may be found, call you on Him while He is near… Cast away from you all your transgressions, whereby you have transgressed; … Acquaint now yourself with him, and be at peace: thereby good shall come to you. Take hold of His strength, that He may make peace with you … Listen and give heed, do not be haughty, For the LORD has spoken. Give glory to the LORD your God, Before He brings darkness And before your feet stumble On the dusky mountains, And while you are hoping for light He makes it into deep darkness, And turns it into gloom. But if you will not listen to it, My soul will sob in secret for such pride; And my eyes will bitterly weep And flow down with tears, Because the flock of the LORD has been taken captive. Albeit, if you do take heed and will listen, remember the command of Our Lord Jesus Christ, Go [therefore] and make disciples of all the nations, baptizing them to the name of the Father, and of the Son, and of the Holy Spirit; Teaching them to keep all the rules which I have given you: and see, I am ever with you, even to the end of the world (MAT 28:19-20). 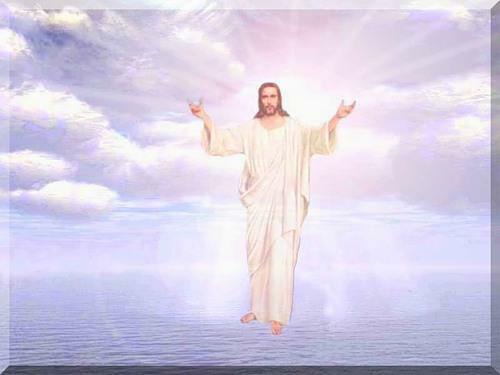 Let us therefore come boldly unto the throne of grace that we may obtain mercy, and find grace to help in time of need. Accept the commission of Our Lord. “All authority in heaven and on earth has been given to me. Therefore go and make disciples of all nations, baptizing them in the name of the Father and of the Son and of the Holy Spirit, and teaching them to obey everything I have commanded you. Heal the sick, cleanse the lepers, raise the dead, cast out devils: freely ye have received, freely give. And surely I am with you always, to the very end of the age. ‘Behold, I stand at the door and knock; if anyone hears My voice and opens the door, I will come in to him and will dine with him, and he with Me. ‘He who overcomes, I will grant to him to sit down with Me on My throne, as I also overcame and sat down with My Father on His throne. ‘He who has an ear, let him hear what the Spirit says to the churches. Let our master reply to us, ‘Well done, good and faithful servant! You have been faithful with a few things; I will put you in charge of many things. Come and share your master’s happiness! This entry was posted in Church and tagged authority, bible, Christian, Christianity, Christlike, Church, enlightenment, God, Holy Spirit, Jesus Christ, knowledge, life, Lifestyle, love, power, Prayer, Religion, Thoughts, wisdom. Bookmark the permalink.